A native of Deer Park, New York Larry began playing lacrosse at the age of 10 not knowing that the sport would become his life's work. Following a stellar high school career where he earned First-team All-League honors he attended Washington College and joined a team that would play in three straight NCAA DIII National Championships. During his senior year Larry received the Ensign C. Markland Kelly Jr. Award as the National Goaltender of the Year, was a First-Team All-American and earned the W.H. Brine Award as the Most Valuable Player of the National Championship Game. His last collegiate lacrosse appearance was as a starter for the South in the North/South USILA All-Star Game. Upon graduation he played for the North Adelaide (Australia) Lacrosse Club and later the Palo Alto Lacrosse Club where he joined a team that would win multiple west coast championships. In 2007, Larry was inducted into the Washington College Athletic Hall of Fame. 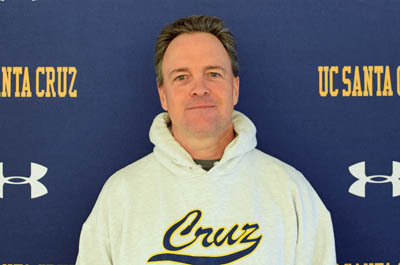 Currently the Larry is President of Lax Empire and Head Coach at UC Santa Cruz. He was named 2014 West Coast Lacrosse League Coach of the Year and was previously the Head Coach at San Jose State, Saratoga High School and Assisted at Washington College and Aptos High School.